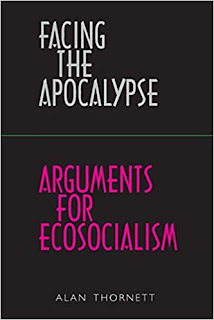 I’m not sure that Alan Thornett has written a totally comprehensive guide to Ecosocialism as an emerging political ideology in the second decade of the 21st century CE, or perhaps, the second or third century of the Anthropocene era. That task may need hindsight, and as argued throughout, that could be something we will not have the luxury to do in future. 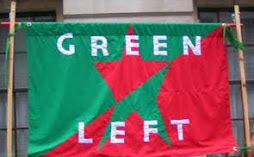 One issue, which is not dodged, even though it is very controversial in Green and socialist discourses, is human population growth. Often any discussion of this issue has led to not always unjustified accusations of Malthusianism, misanthropy and racism. Thornett devotes a lot of attention to this issue, including. as appendices, debates on the issue with thinkers such as Betsy Hartmann, Laurie Mazur, Ian Angus and Derek Wall. 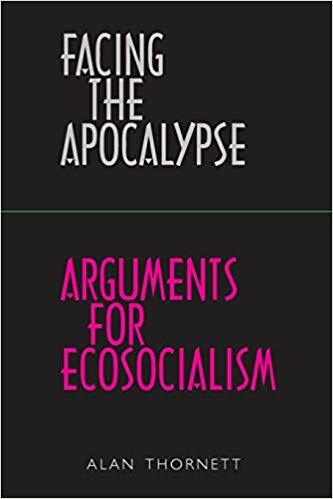 Overall the case is made that, even if population growth, may, as on some projections, trail off by about 2050 to about 9.5bn, it is still a major factor driving the ecological threats that the book details. Therefore, it cannot be ignored, but it cannot be solved by compulsion, and any solution must involve extending the rights of women to control their own fertility. alternatives, lifestyle changes and transportation issues.